Before I moved into my loft, I owned a cute little bungalow for four years. It was located in a cute little neighborhood, had a cute little front porch, a cute back deck, a cute (and tiny) little kitchen, and a not-so-cute garden. By about this time each summer in mid-June, it had usually turned into a jungle. I was NOT a good gardener. You see, I was really good about dreaming of the idea of a garden (and being one of those cool gardening types). And I was really good about shopping for plants for my garden. And I was even pretty good at devoting a long Saturday each Spring to prepping and planting my garden. But what’s that they say about the best laid plans….? Suffice it to say that a bad memory for watering combined with a squealing fear of bugs combined with weeds that somehow produced a raging case of poison ivy each year like clockwork didn’t fare well for my dreams of garden-to-table entertaining. Actually, I was amazed at how much produce I still harvested despite my worst efforts. But after my fourth year of wishful gardening, I decided that I would be much happier as a cheerleader and supporter of other gardeners. So I moved downtown to a loft literally across the street from the largest farmers market in Kansas City. And started supporting what I think is basically the coolest local CSA ever. And I ooooh and ahhhh over my friends’ beautiful gardens and gladly take home any surplus produce they have to offer. And it’s basically awesome. But back up, you say. Ginger beer? In mojitos? Heck to the yes, I say. I have been adding ginger beer to mocktails and cocktails ever since I became super hooked on it a few years ago. And it is seriously the best mixer!! 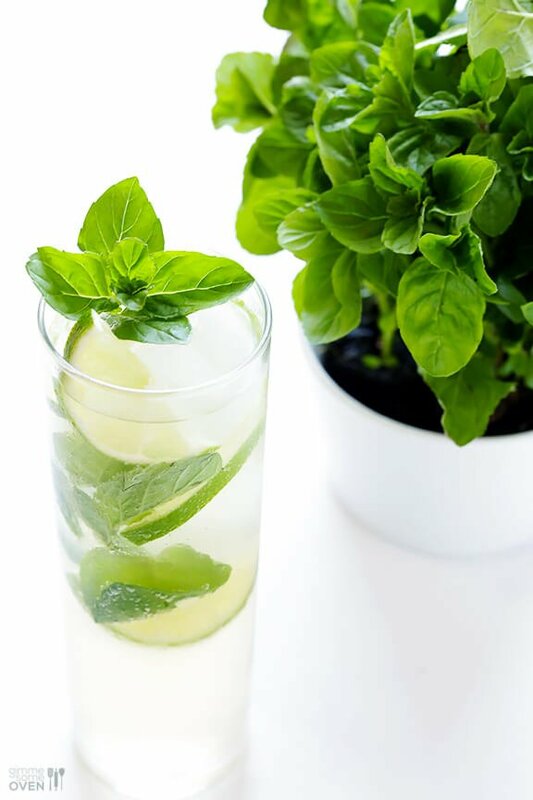 It’s already sweetened, it has the nice spicy kick of the ginger (10x better than gingerale), and it is nice and fizzy and perfect for cool summer drinks like mojitos. After much ginger beer taste testing over the years, I still hold that this guy right here is my favorite — Bundaberg. When we’re lucky, it occasionally shows up at Costco here in Kansas City. But otherwise, seems to be available year-round at World Market and a few other stores. Or you can even fork over extra for shipping and order it online. But if you’re new to the ginger beer scene or looking for a good one, you must give this one a try. Just muddle the mint in with the lime juice. Then add in some ice cubes, rum and ginger beer. Then top it off with some extra mint and lime slices for garnish if you’d like. This drink literally takes about a minute to make, which is good, because you likely will want to make more than one. It’s also the perfect party drink, and easy to customize for those who want it more minty (just muddle more mint), sweet (more ginger beer), tart (more lime), or boozy (more rum). OR, for those who don’t drink alcohol, this recipe actually makes a really yummy mocktail without the rum. Bottom line, I’m pretty sure you’ll love it. And if you happen to be one of those gardeners who has a mega surplus of summer mint, or a non-gardening friend or shopper who wants to support those who do, this is a delicious way to put a lot of fresh mint to use. 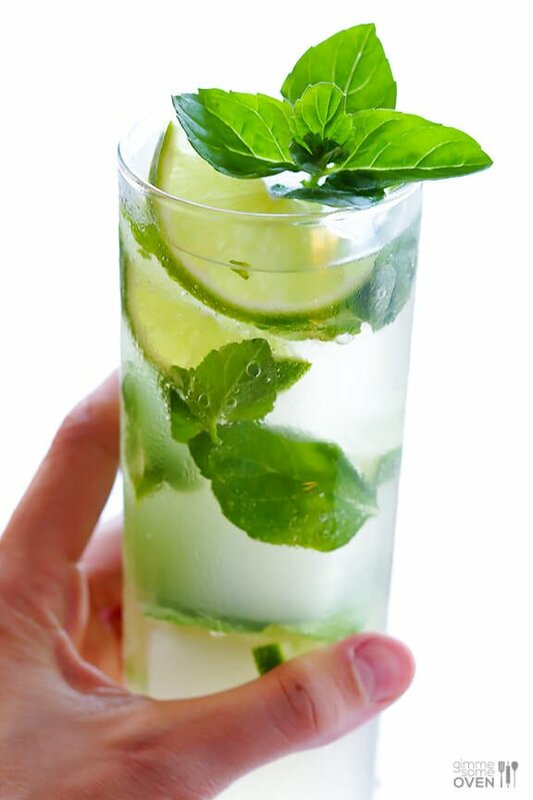 Ginger beer meets mint and lime and rum in this simple Ginger Beer Mojito. 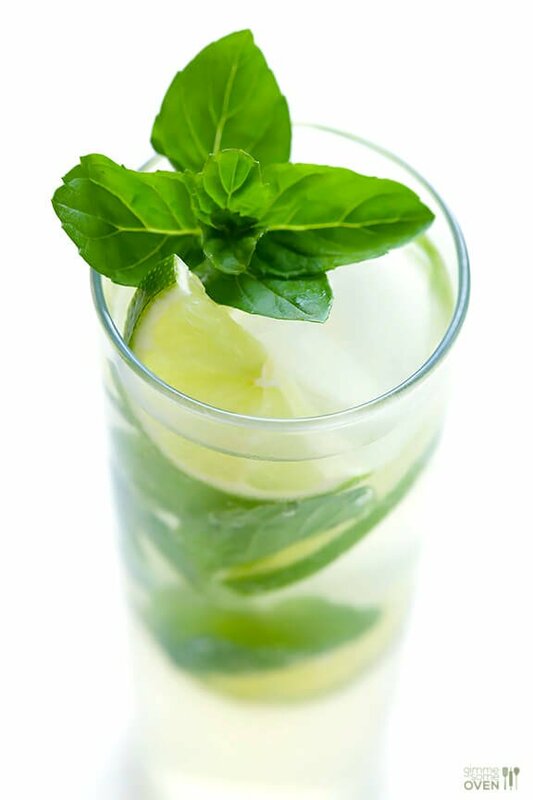 Muddle the mint together with the lime juice in a glass. Add a few large ice cubes, then pour in the rum and ginger beer. 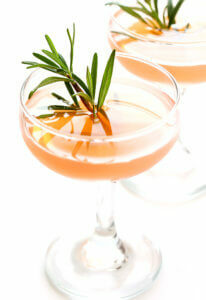 Finish the drink with additional garnishes, if desired. Ginger beer reminds me of morning sickness because that’s what I drank when I was pregnant. Ha! 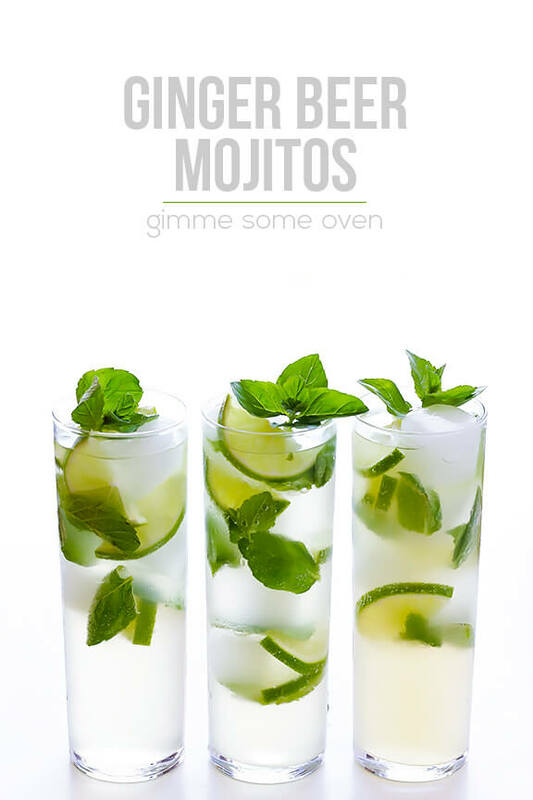 I need to get past that, though, because these mojitos sounds so perfect for summer! And I have tons o’ mint in my container garden to boot. I plan on making ginger beer, for the first time, this summer. I see many of these cocktails in my future. 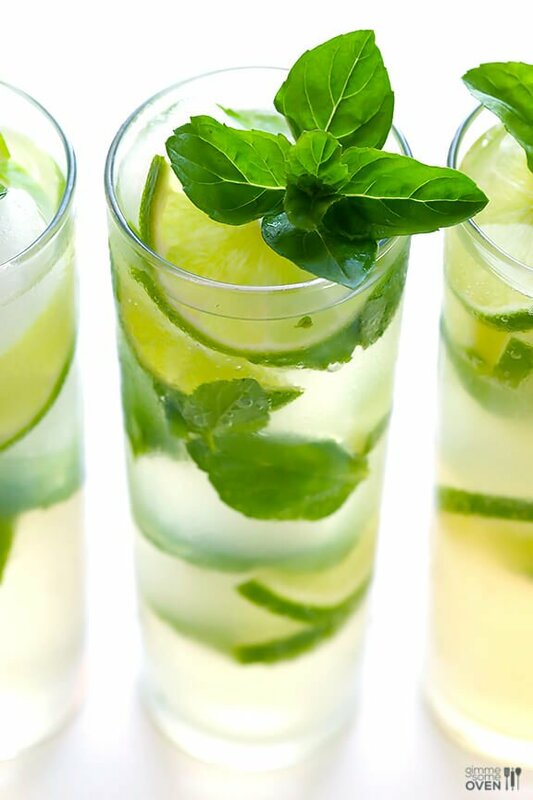 :) I love mojitos and I’m sure ginger beer just takes them over the top! Lol, you could have been describing me when you were talking about your gardening (mis)adventures! I’ve always wanted to grow my own herbs cause I hate spending so much money on them when I don’t use the entire bunch but I’m TERRIFIED of bugs and have the black thumb of death. Yay for the CSA across from you! I ADORE ginger beer mojitos and can’t wait to spend my entire summer making this recipe. Your photos are simply stunning, Ali. I feel refreshed just by looking at them! Heck yes. This looks SO refreshing. 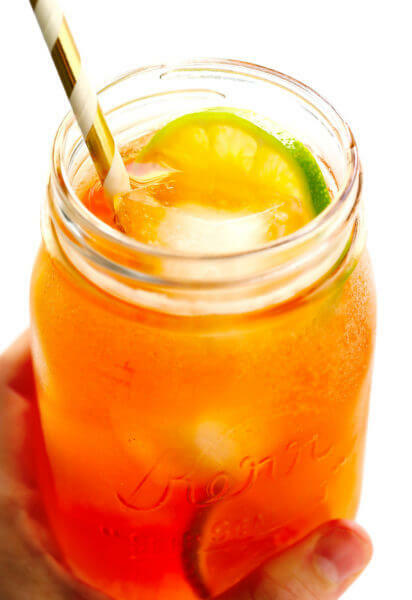 Ginger is so refreshing! 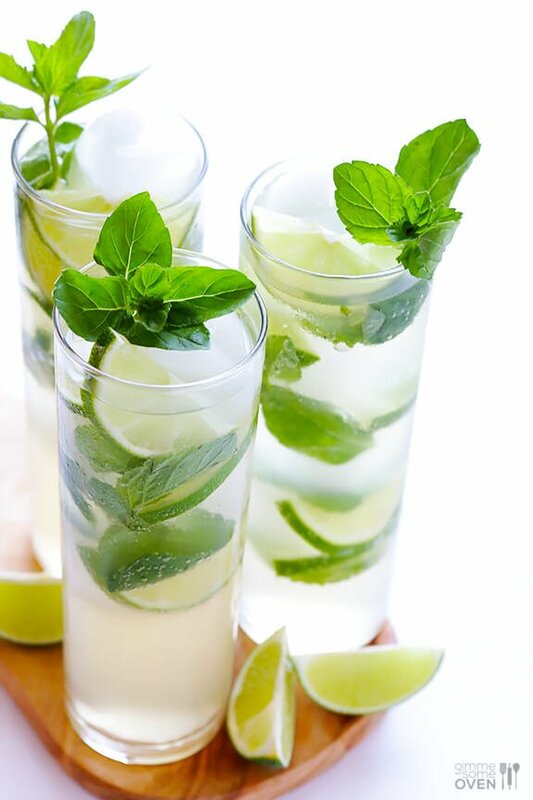 This mojito looks fantastic! 4 ingredients? Oh heck yes! Looks so gorgeous Ali! I love the look of the fresh limes – yum! This is my favorite drink of all time. I normally make it with gin and club soda and ginger simple syrup but you just made it easier. I heart you. 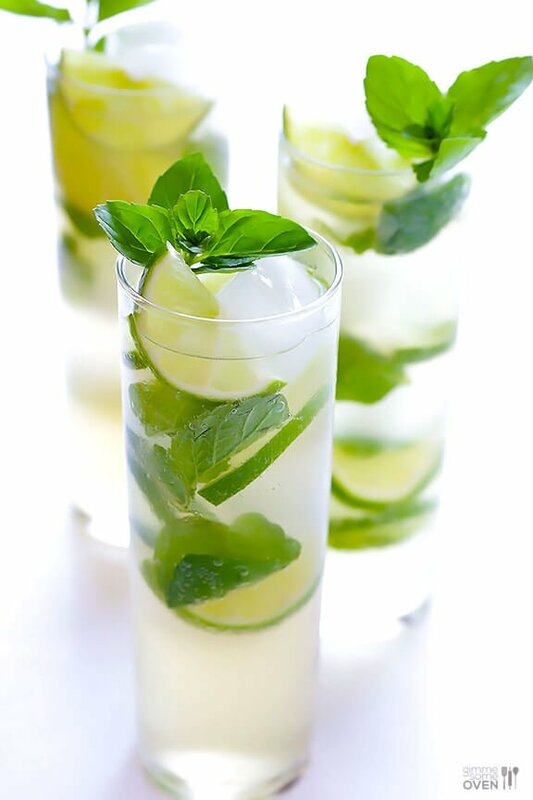 These look so perfect and refreshing!! I am a ginger beer fanatic! 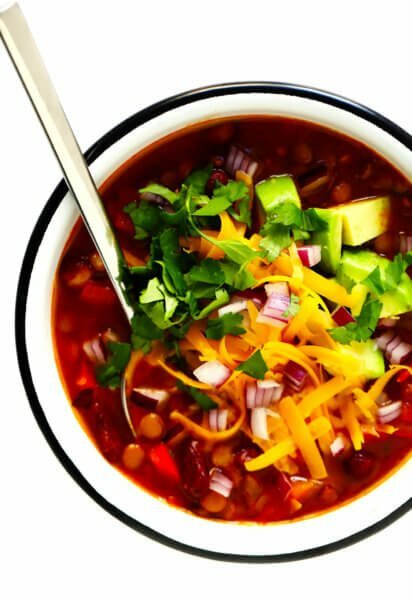 I can’t wait to try this :) Pinned! I love mojitos! But I’ve never had ginger beer before. I’ve seen it and thought about trying it… but I have nooo idea what to expect. What does it taste like? Nice work! 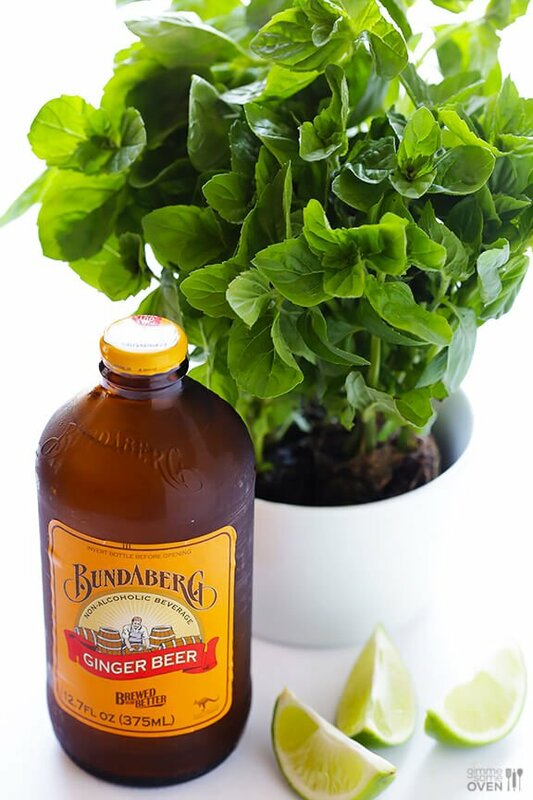 Bundaberg Ginger Beer is an Australian classic! One of only a few purely brewed ginger beers, (most others are just syrup and soda) For those interested, another great aussie ginger beer to try (if you can get it) is Cascade Ginger Beer from Tasmania. I am almost (but not quite) ashamed to say that I saw your idea of using ginger beer and immediately thought of using alcoholic ginger beer. I muddled the mint, added the rum and topped with Crabbies. It doesn’t look as sophisticated as your ginger beer cocktail but it is wonderfully refreshing. Alcoholic ginger beer is a wonderful idea, and hey, we say who cares how it looks, as long as it tastes great! : ) We’re glad you enjoyed this! 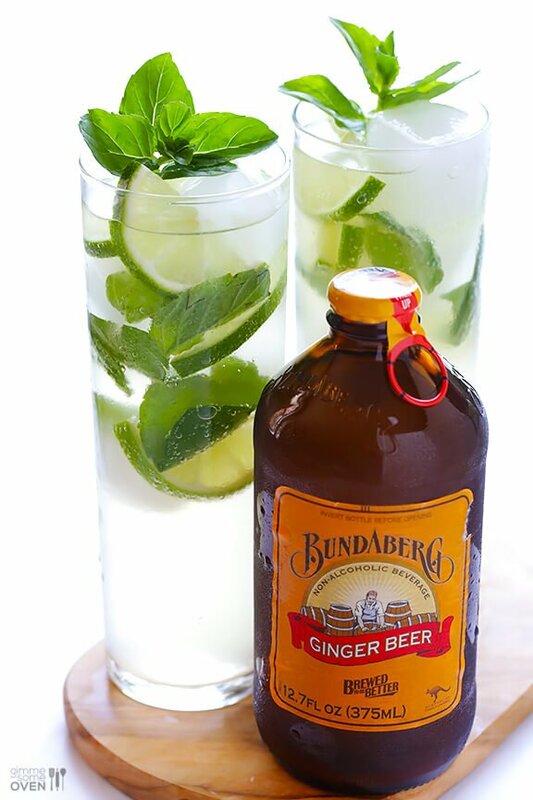 I’ve had this pinned for a while and have only just clicked through to check out the whole recipe – And I was pleasantly surprised and excited that you use Aussie Ginger Beer!! When you come to Australia you MUST check out the Bunderberg Rum Factory where they make the Ginger Bear – it’s amazing. I’m going to make these babies tomorrow night – can’t wait.